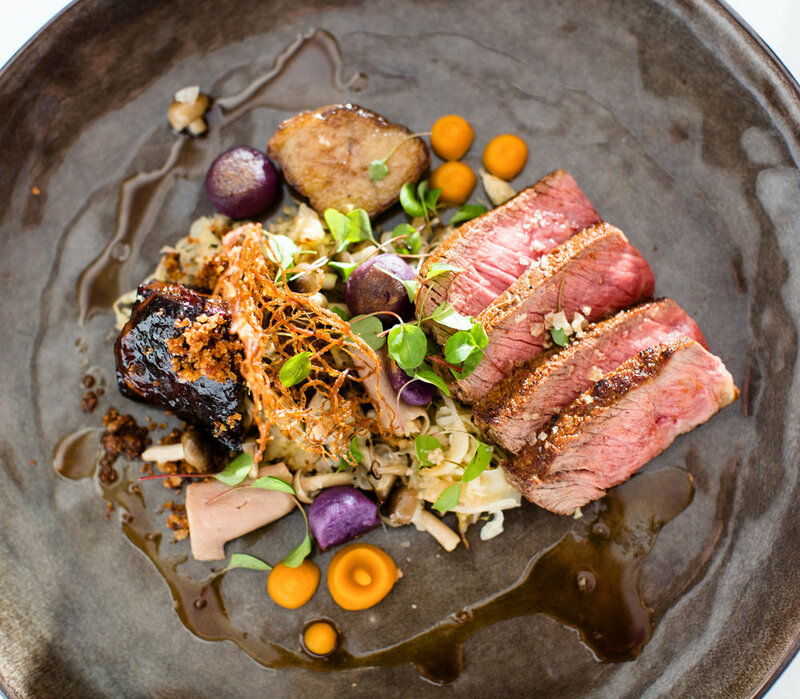 Our guide to the best restaurants in Devon - from field kitchens to fine dining. With its Michelin-standard restaurant, this imposing Tudor style house, overlooking 107 acres of private woodlands in the wilds of Dartmoor National Park, has impeccable culinary credentials. 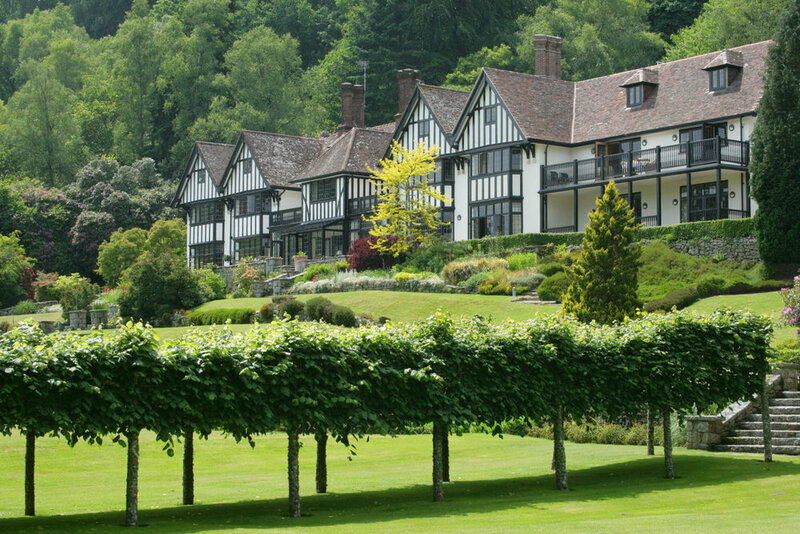 Refined and formal, Gidleigh Park offers old-school charm and exceptionally high standards. Gidleigh’s kitchen has been unsettled since the 2015 departure of long-standing head chef Michael Caines who, in his 21 years of service, won the restaurant two Michelin stars. Since then two chefs have come and gone, taking with them Gidleigh’s coveted Michelin stars, but the food still wows, with a traditional, pared-down British menu that focuses on seasonal, locally sourced produce. Think Cornish turbot served with leeks, purple spouting broccoli and caviar hollandaise, and beef fillet with potato terrine and cauliflower purée. There’s a whopping wine list, with more than 9,000 choices which the charismatic sommelier has an encyclopaedic knowledge of. The silver-service restaurant at Bovey Castle is uber-glam, and there’s a casual brasserie with a sunny terrace and stunning views. Our favourite spot for a cream tea is by the enormous log fire in the Cathedral Room lounge. The bar is a romantic spot for an evening cocktail. Take your members’ card for 15% off. Heralded as a ‘genuine slice of foodie heaven’ by the Michelin guide, the Horse serves some of the best food in Devon, in contemporary pub setting. There's a pretty walled courtyard for dining al fresco on summer evenings. At the unassuming Old Inn, in the pretty village of Drewsteignton, you’ll find pitch-perfect food in a relaxed, elbows-on-the-table style. It's not over-elaborated, it's just smart, technically brilliant cookery, exercised in the interests of lovely ingredients. Chef Duncan Walker is a Geordie who cooked for years with Shaun Hill at the Michelin two-star Gidleigh Park Hotel at Chagford. They are open for dinner from Wednesday to Saturday, but will take bookings at other times for tables of six or more. Don’t let the awful website photos put you off - it is all-round lovely. Don’t be put off by the garish décor at this former oyster farm: the freshness of the oysters at The Oyster Shack is legendary. Handpicked from the River Avon less than half a mile away, the meaty molluscs are served with a huge selection of mouth-watering sauces. Torquay is more famous for bucket-and-spade summer fun than fine food, but one of Devon’s Michelin-starred restaurants is tucked away here: The Room in the Elephant. Overlooking the harbour, this gorgeous terraced Georgian house has a casual brasserie downstairs, with Michelin-starred Room upstairs. This is some of the prettiest food you’re likely to see anywhere, with dainty floral garnishes and unexpected flavours – the pop rock candy dessert for example, which fizzes in your mouth. Mains include roast pumpkin fondant, spiced Carrot Juice, cauliflower and pine nut pesto.